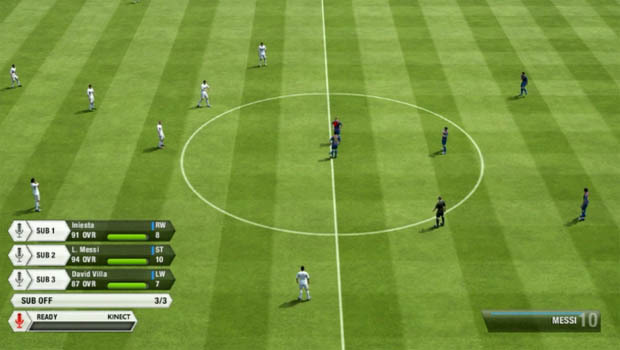 During the Microsoft press conference we learned that FIFA 13 will support Kinect. In a demo shown by Executive VP of EA Sports, Andrew Wilson, we saw substitutions carried out, tactics changed on the fly, and even the game registering your feedback towards the referee. Optional voice commands seem like a good fit here, being able to trigger runs or the movements of players off the ball is something I can see really being useful. Voice commands excite anyone else?